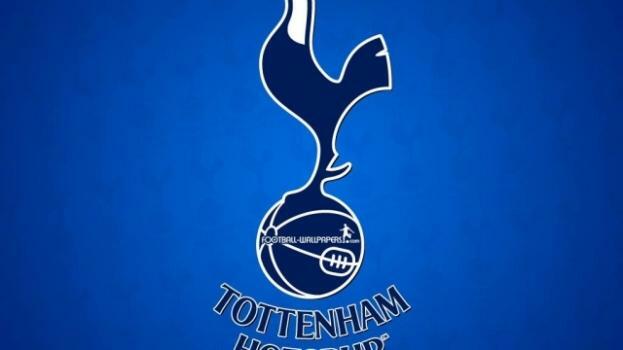 Tottenham's nickname is Spurs but they are also known as The Lilywhites. They were founded in 1882 and are one of England's most successful clubs. They won their first trophy (FA Cup) in 1901 as a non-league team. Tottenham were the first club in England to win the league and FA Cup double which they achieved in 1961 and then they were the first to win a UEFA club European trophy in the 1963 campaign. The last cup they won was the Carling Cup (League Cup) in 2008 where they beat Chelsea in the final. In 2014/15 season they had a repeat final which the Blues came out on top in a 2-0 win over Spurs. Their club crest is a cockerel standing upon a ball and their motto is "Audere-est-Facere" which is Latin for "to dare is to do." The club colours are predominantly white and blue with their home kits being in white. The club is highly regarded as one of the biggest clubs in England are a regulars in Europe's biggest competitions such as The Champions League and The Europa League. Tottenham's owner is Joe Lewis who is a businessman and the club's chairman is Daniel Levy who is exceptional at balancing the books and is a shrewd financial dealer. They have won a total on 29 trophies; 6 league title, 8 FA Cups, 4 League Cups, 7 FA Charity Shields, 2 UEFA Cups, One UEFA Cup Winners' Cup and One Anglo Italian League Cup. Tottenham's most capped player is Steve Perryman, who made 854 appearances for the club (1969-1986) and their top goal scorer of all time is Jimmy Greaves who netted a total of 266 goals in 380 games in all competitions. They have had a number of legendary players over the years, the likes of; Danny Blanchflower, Dave Mackay, Bill Nicholson, Cliff Jones, Paul Gascoigne, Ossie Ardiles, Ricky Villa, Glenn Hoddle, Gary Mabbutt, Ledley King, Gareth Bale, David Ginola, Teddy Sheringham, Martin Chivers, Pat Jennings, Ray Clemence, Clive Allen, Gary Lineker, Alan Mullery, Chris Waddle, Jurgen Klinsmann, John White, Alan Gilzean, Vivian Woodward, Cyril Knowles, Ted Ditchburn, Garth Crooks, Ralph Coates and Robbie Keane. Liverpool must at least draw against Spartak Moscow to reach the next stage. The Londoners will face a difficult match against Leicester, the team that brillianty won the Premier League in 2016. Arsenal still hold a narrow edge over Spurs - but for how much longer? Sky Sports pundit Charlie Nicholas claims Tottenham Hotspur striker could walk into Madrid's star-studded squad. The North Londoners have kept virtually their whole squad from 2016-17 and have yet to make a move for anyone for 2017-18. Has the power truly shifted in North London? For the first time since 1995, Tottenham will finish above Arsenal in the Premier League. So is it a one-off or has the balance of power shifted? Spurs have done remarkably well over the past few years, but what does the future hold for them? Tottenham Hotspur: can they really catch Chelsea? Spurs are on a roll, they are second in the league and are nine points behind Chelsea. So can they do it? Tottenham Hotspur ended their London rivals' winning streak thanks to Dele Alli's brace. Tottenham Hotspur - genuine title contenders? Four league wins in a row - can Spurs halt the Chelsea charge on Wednesday?